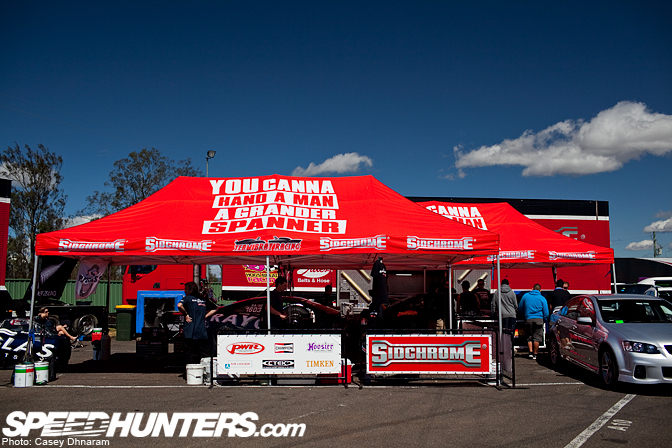 The past weekend saw the 21st Anniversary of Jamboree racing held at Willowbank Raceway, Queensland Australia. 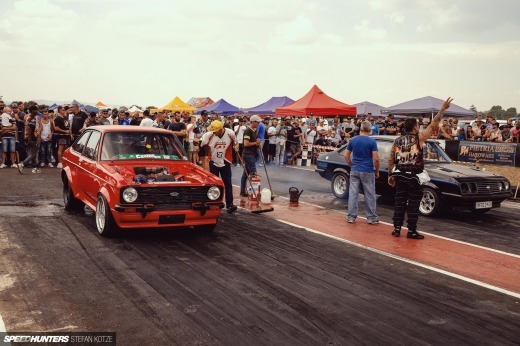 Like last year, Speedhunters was there to cover all the action both on and off the track. Poor weather meant Jamboree was postponed from late August to early October, which unfortunately meant some teams weren’t able to take part. In this first part we will be taking a walk through the paddock to show you some of the cars and teams that came to support the event. One of the cars on display was the retired HKS CT230R. 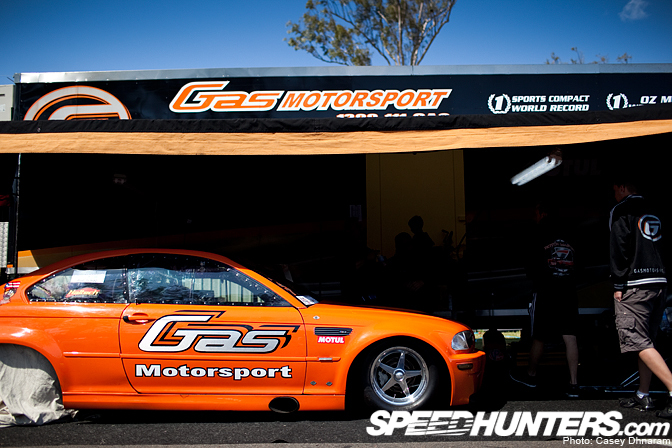 Gas Motorsport made the trip from Sydney. You may remember the spotlight Dino did on this BMW M3. The team could be found tweaking their gold Toyota Celica in readiness for a run down the strip. 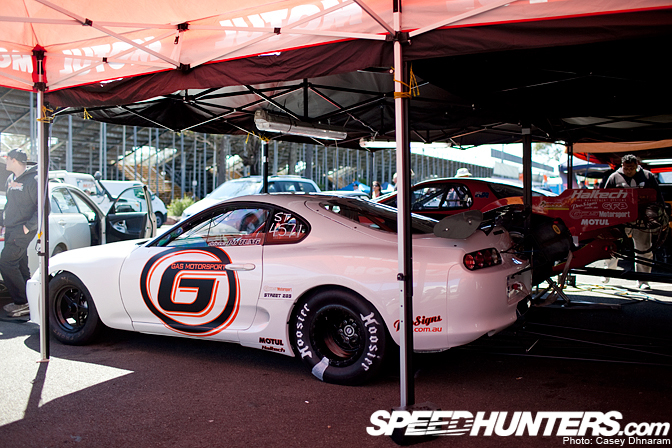 …And this tough JZA80 Toyota Supra. New Zealander Rod Harvey and the Rayglass Boats team could be found at the Sidchrome camp. 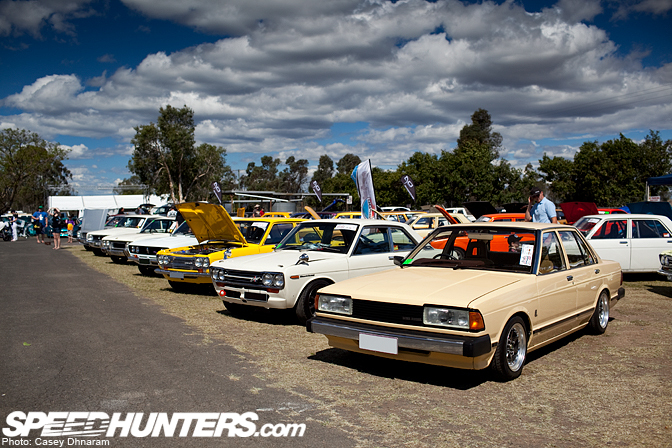 Ben Bray was also on hand to pilot Rod Harvey’s old Datsun 1200. It was great to see Tony Wedlock and the team from Toyota back at this year’s Jamboree. Tony invited me into the tent to get some closer photos of the guys prepping the car for some early qualifying. Hopefully before the end of the year we will be able to provide a full feature on this awesome drag car. Mazfix’s very own Archie Kajewski drives the Mazda BT-50. 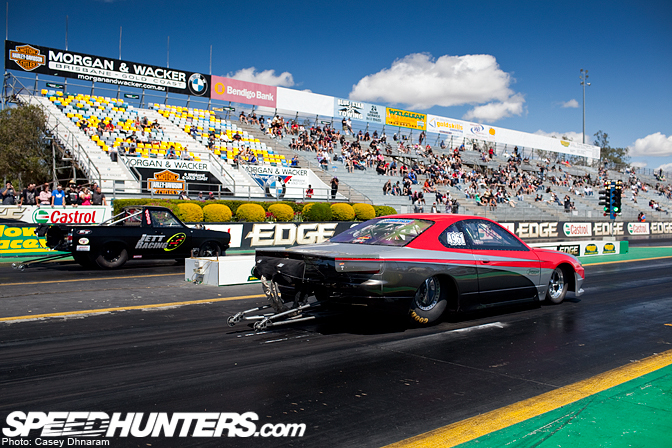 On Saturday Archie ran a 6.9 @ 198mph but was plagued with gearbox issues for most of the weekend. While I was shooting the pits a few cars were coming in and out for their qualifying sessions. 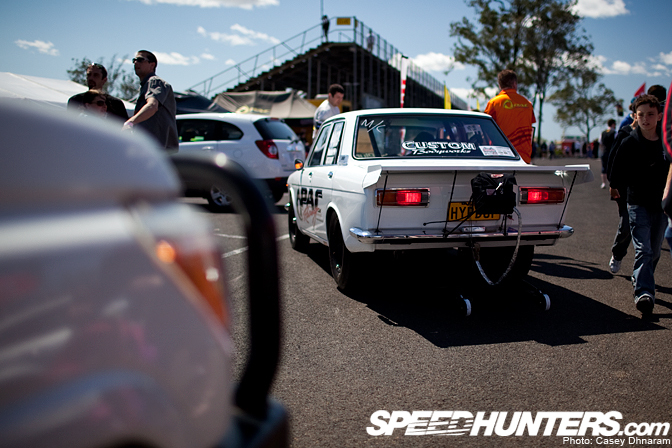 Here is the Pac Performance Datsun 1600 heading out. I also popped by Mercury Motorsport to catch up with Trent and Tess Whyte. 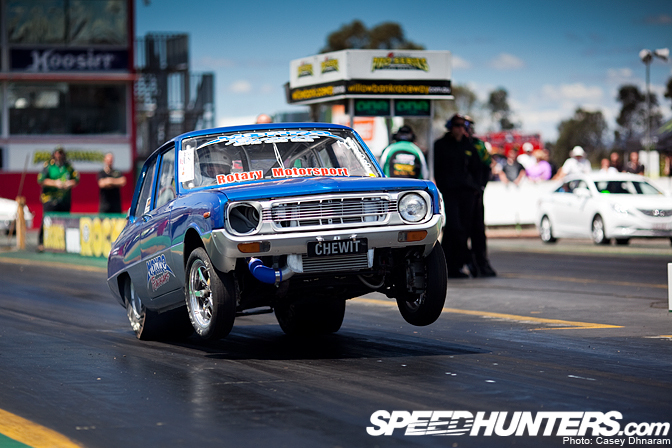 You may remember Mercury Motorsport by this particular entrant in WTAC. 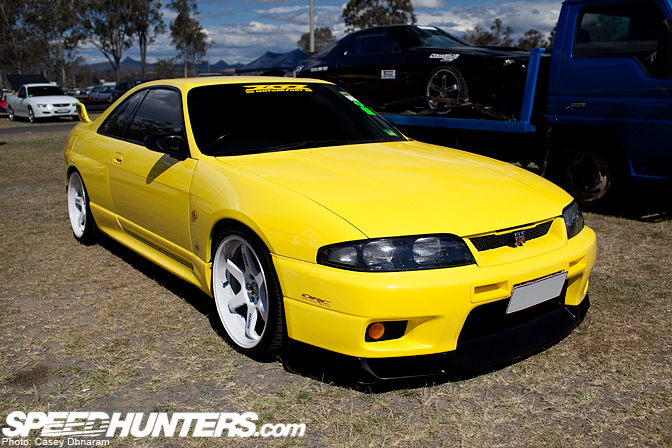 Next to that was Tess’s R34 GT-R with it’s new Advan RZ-DF rims. We will be taking a closer look at this particular car later as it’s a perfect inclusion for our Street Cars & Sleepers theme. GT Auto Garage also brought out their full carbon R35 GT-R.
Near the main stage was a small show and shine area which was mostly filled with older Japanese imports. We will definitely be bringing you a few spotlights later in the week! 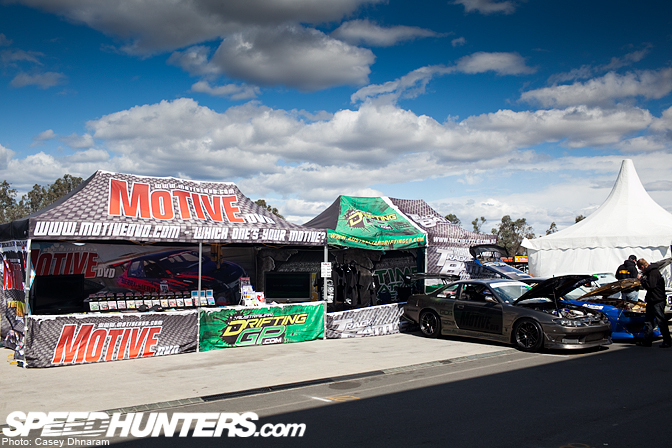 Andrew Hawkins and Motive DVD were on hand to film the event. 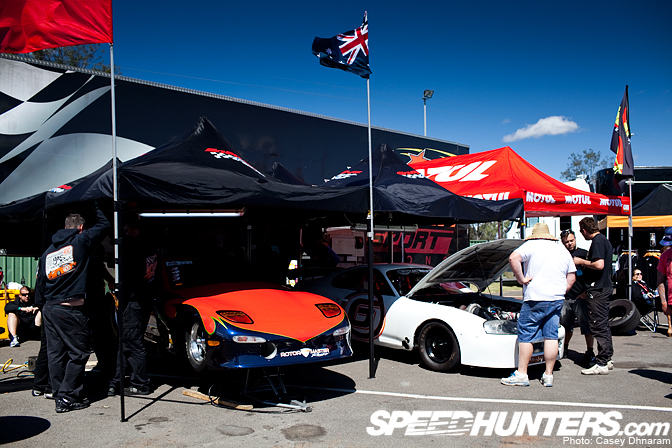 They are currently prepping for their Australian Drifting Grand Prix event, which will be on in a couple of weeks at Queensland Raceway. The parking lot had some great cars too, such as this R33 GT-R on TE37s from 101 Motorsport. That’s it for Part 1, stay tuned for Part 2 as we take the cameras to all the action from the track. 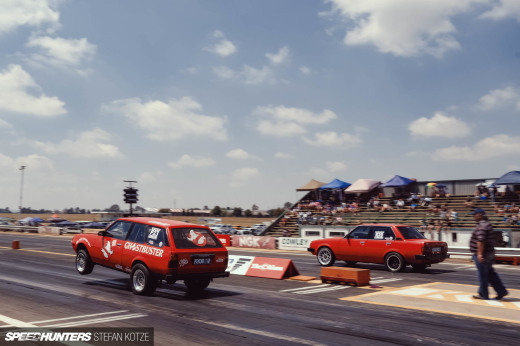 Great coverage... Can't wait for part 2... Po tungs supra is the fastest 28x9inch tyred car in the world... And also the fastest full bodied supra... having run a 7.5@185mph... Making 1500+hp... It is unreal in person... Was such an awsome weekend!! All those proper race cars and you choose to do a feature on a stockish R34 on rims? Really? That bluebird is a minter! must of cost a small fortune in that condition! Oz: Yeah, the engine bay looks really stockish...I gues it should be some Veilside kitted one then? that r34 has made over 1000hp. not quite stockish. why don't you guys don't make videos os these events? 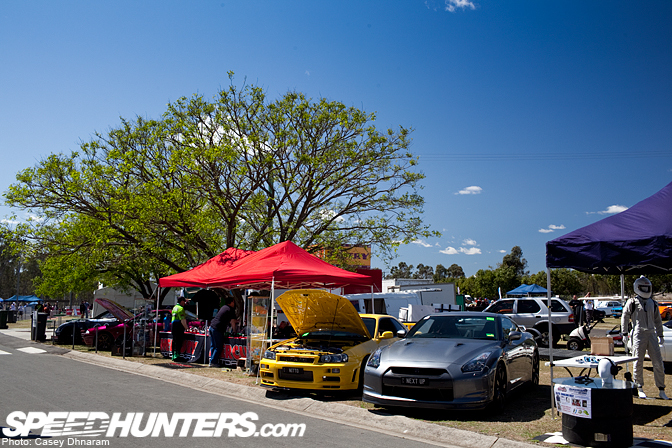 that gtr has made over a 1000hp at all wheels but also was fitted with a gt47 turbo and a nitto 2.7L stroker. cant vouch for the internals but the turbo on it now looked to be a t04z or something like that so wouldnt be capable of anywhere near its previous power levels. ^That R34 has power in the 600s now, they took the 1070hp engine out and are putting that in a drag car. Unfortunately there's no "undo" button on these things.